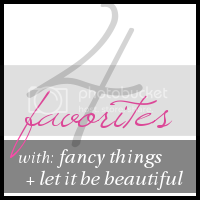 Each Wednesday I link up with other bloggers to share my 4 Favorites. This week it's all about the ocean greens and blues. 1. Kate Spade Popsicle Coin Purse: I love the KS sense of humor. Why be stodgy all the time? This tiny tribute to summer will hold the pieces that always get lost in your purse. 2. 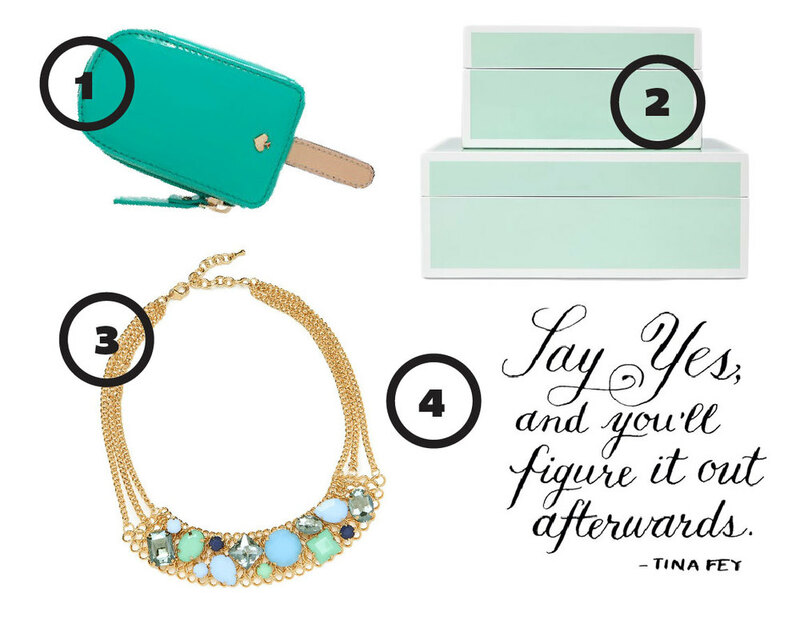 Mint Lacquered Storage Boxes: There is just some stuff in your house you have to keep and it's not pretty. Contain it in these minty boxes with white frames or the navy blue or nantucket red version on the C. Wonder site. 3. Ocean Gem Bib Necklace: I'm a big fan of bib necklaces. I love the way this works in different textures and shapes of stones in a sea worthy palate. The gold is the perfect warm background to wear this summer. There's also a white version. 4. Tina Fey Rocks: This Tina Fey quote has been my motto since I graduated college. There will always be an opportunity that you aren't sure you can pull off. You can do it. Say yes and then make it happen. That's how I ended up doing a food demo presentation at a conference.